The ultimate in volume! I've been so much more experimental in recent months with my hair products, partly because I lightened my hair and partly because it's longer than it has been in ages. As a result, it's become heavier and therefore, harder to infuse with volume. 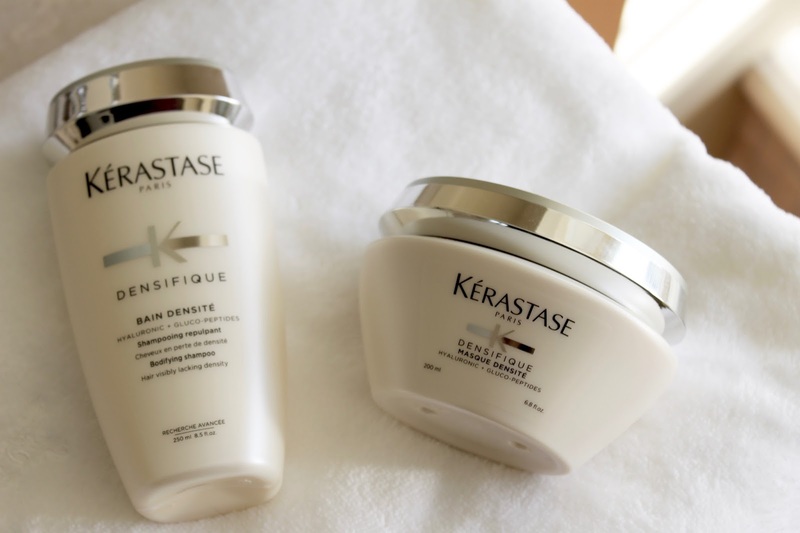 I've been experimenting with different cleansing systems as a way to provide the appropriate base for more volume and have found serious winners in the Kérastase Densifique line. Kérastase Densifique Bodifying Shampoo - This beautifully-scented shampoo creates amazing volume thanks to a combination of hyaluronic acid and gluco peptides. These ingredients help to physically plump and lift the hair, while infusing it with lightweight moisture. I have to say I'm obsessed with the soft, swishy, perfectly balanced volume it creates in my hair! Kérastase Densifique Bodifying Mask - A mask that provides volume? I was just as shocked to find a product that provided my hair with both reparative moisture and volume at the same time, but I have! I love the silky texture of this mask, and how it rinses completely clean but leaves the hair smoothed and feeling even lighter than it did prior to use. A new must-have! *product provided courtesy of Influenster, all opinions are my own.